* Savings based on variable speed pump compared to a single-speed pump running 12 hours per day at an average of $0.16 per kWh in a 20,000-gallon pool. Actual savings may vary based on local utility rates, pool size, pump run time, pump horsepower, pump rpm, plumbing size and length, pump model, service factor and other hydraulic factors. The IntelliFlo 2 VST Variable Speed Pump is designed to maximize the convenience and efficiency provided by Pentair EasyTouch or IntelliTouch automation systems. In response to system commands, the pump delivers just the right water flow so all your equipment operates effectively and efficiently. How Quiet is the IntelliFlo VSF? The IntelliFlo 2 VST pump interfaces with Pentair automation systems to give you the convenience of mobile device control (ScreenLogic sold separately). 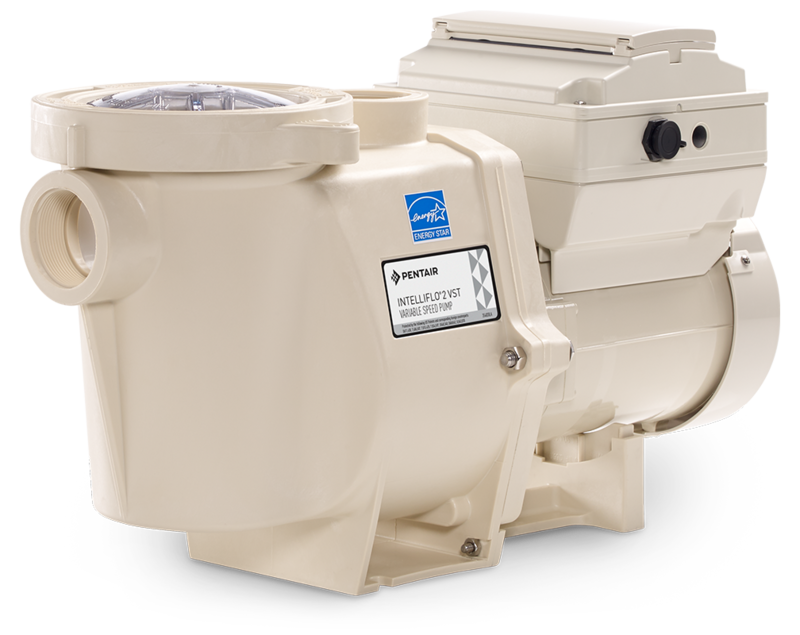 This advanced pump can be programmed to deliver the right flow required for filtration, water features, spas and other equipment. 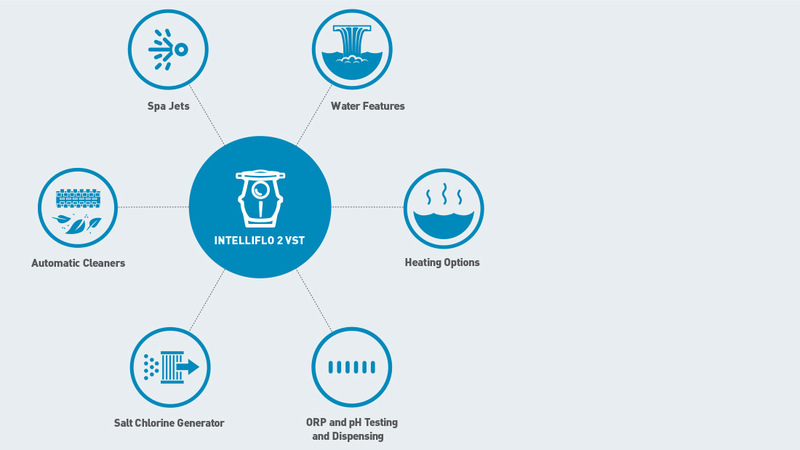 With IntelliFlo 2 VST, you can add equipment and features, or change them, without reducing pump performance and while still providing maximum energy efficiency.